Ofir Feldman is a filmmaker and artist, graduate of the Art Academy in Rome. Currently he works towards his MFA and MA in cinema at the Tel Aviv University, where he serves as a teaching assistant. Language, identity and social issues are central themes in his work. His video art works were shown in various events such as the NGBK and the ZEBRA Poetry Film Festival in Berlin, Loop Festival Barcelona, Vieobrasil São Paulo and more. His short documentary "The Love Archive" was supported by the Rabinovich Foundation, Gesher Multicultural Film Fund and Channel 8 HOT; screened at Channel 8 HOT, The BFI Flare London and more. His short fiction film "Skin and Bones" was supported by The Blavatnik Student Film Production Fund; screened at the Cinequest Film Festival in San Jose California, TLV Fest and more. 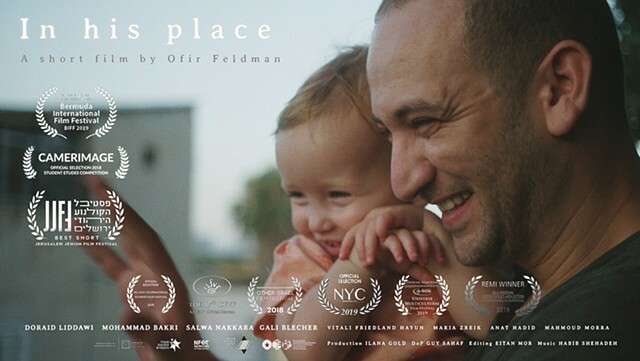 His graduation project, the short fiction film "In his place" (in post production) is supported by NFCT The New Fund for Cinema and TV, The Ministry of Culture and Sport, The Israel Film Council and The Blavatnik Student Film Production Fund; screened at the Tel Aviv International Student Film Festival, the International Student Film and Video Festival of Beijing Film Academy, Other Israel Film Festival NY, and The International Film Festival of the Art of Cinematography Camerimage, Bydgoszcz Poland.